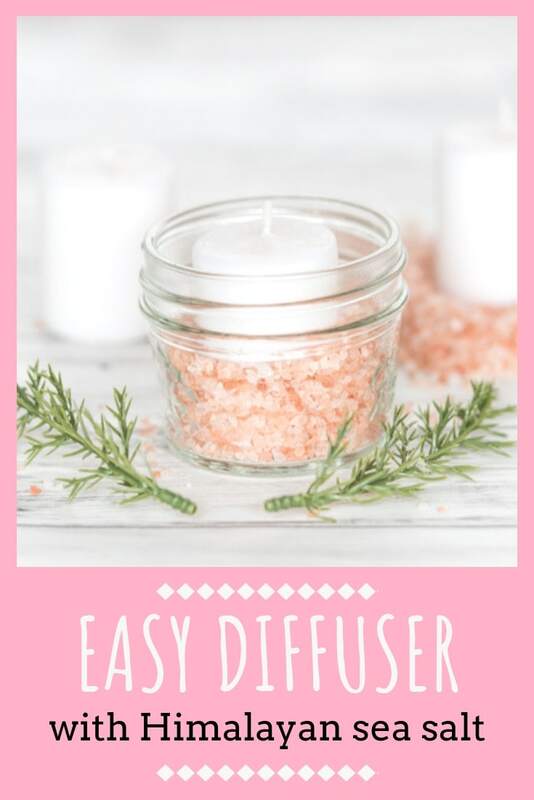 Welcome to this tutorial on how to make an easy homemade diffuser with Himalayan sea salt! 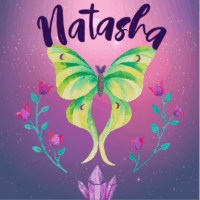 Y’all know that I am all about using natural scents from essential oils instead of artificial scents whenever possible! 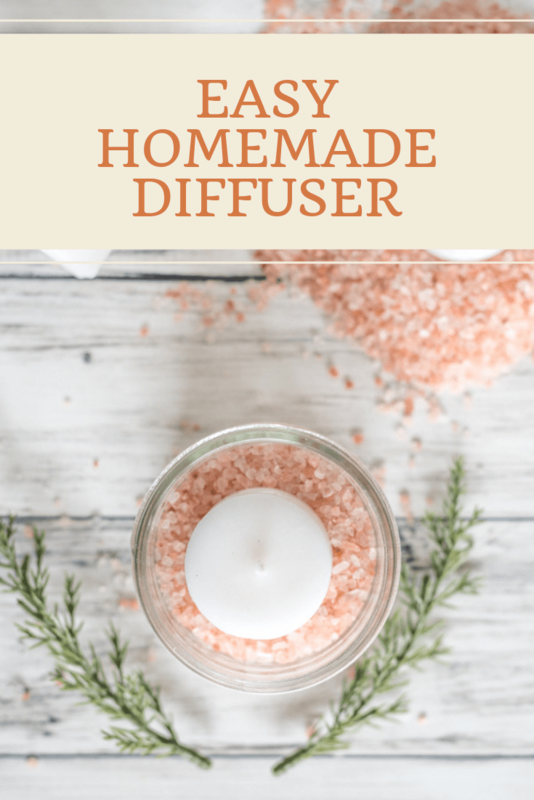 Today I’m sharing a super easy homemade diffuser tutorial that’s perfect for adding warmth and delicious scents to your home. Since it’s November at the time of writing, I’m including some diffuser blends for the holidays. 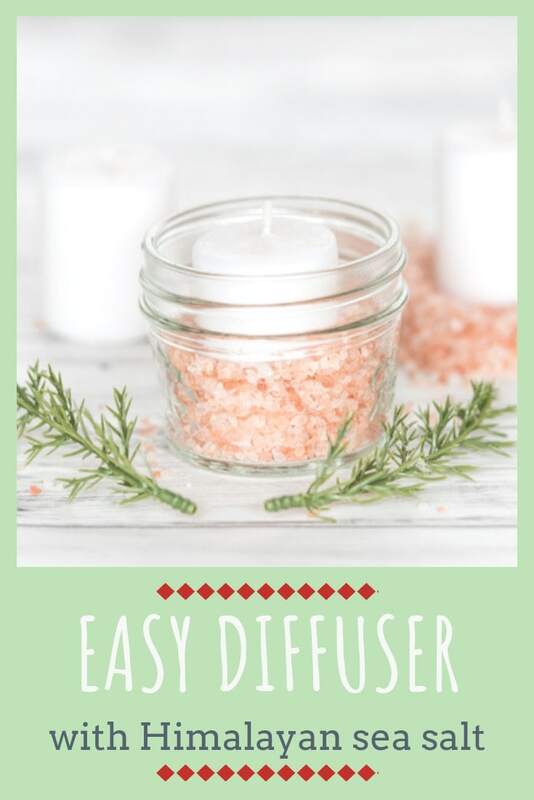 I hope you enjoy this crazy easy homemade diffuser and warm holiday scents in your home! A glass jar or ceramic bowl. I prefer a small glass jar or the cut off bottom of a glass bottle. You can learn how to cut glass bottles the best way in this post! Coarse natural salt crystals. 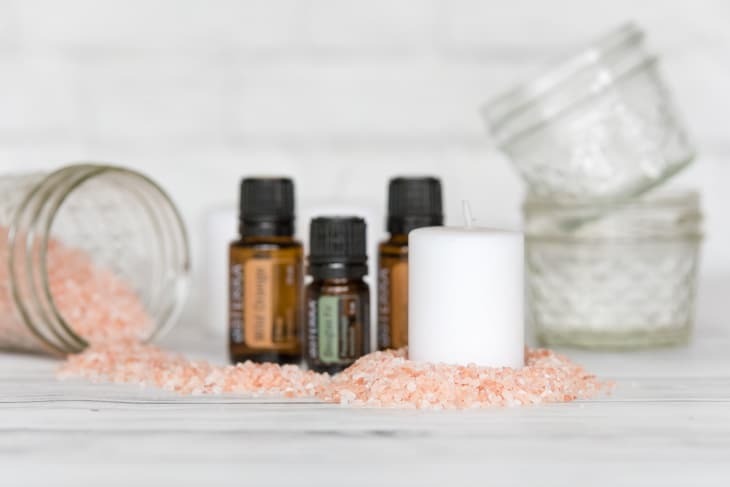 You can use pink Himalayan salt or other sea salt crystals of your choice. Exactly how much you need depends on the size of your jar – you’ll need about 1/4 cup each for small jars like the ones shown. Pop your votive candle in your jar or bowl and add enough salt to come about half way up the candle. Remove the candle and pour the salt into your mixing bowl. Repeat for any additional remaining jar/candle combos. Add your essential oils a drop at a time and stir to combine. I recommend stirring with a popsicle stick or spoon – something other than your finger! Many of the warm, holiday scented oils are quite “hot” so you don’t really want to get them on your skin when they’re undiluted. For some holiday essential oil blend ideas, just scroll down a little bit more! Place your candle back in the jar. It’s important for it to rest flat on the bottom to help avoid wax drips. Spoon your salt mixture around the candle until the salt comes about half way up the candle’s side. Light your candle and enjoy! Please keep a close eye on your diffuser and never leave it burning when you’re out of the house. 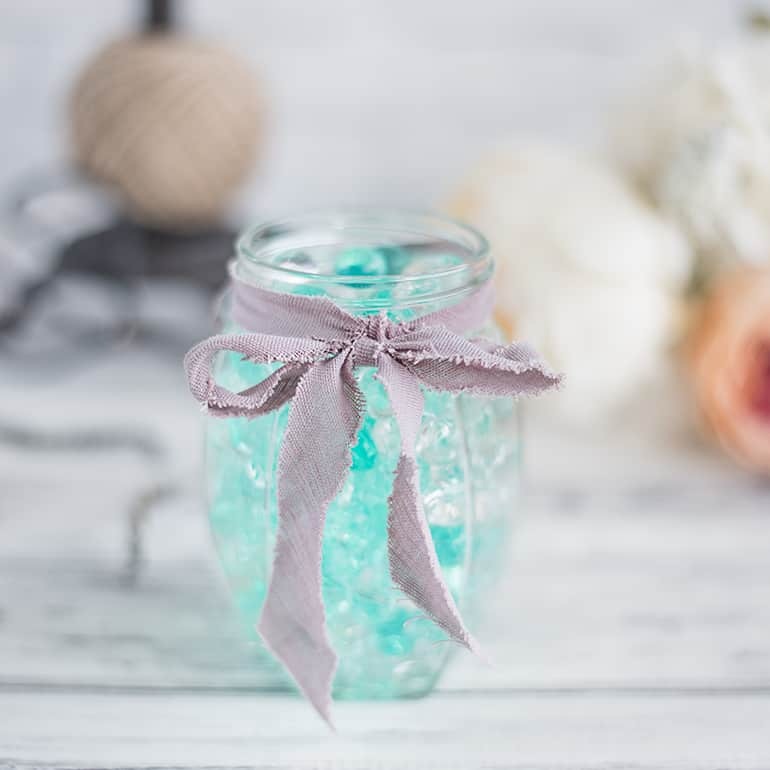 When the scent starts to fade, simply drop a little more essential oil onto the salt and, of course, use a new candle when necessary! 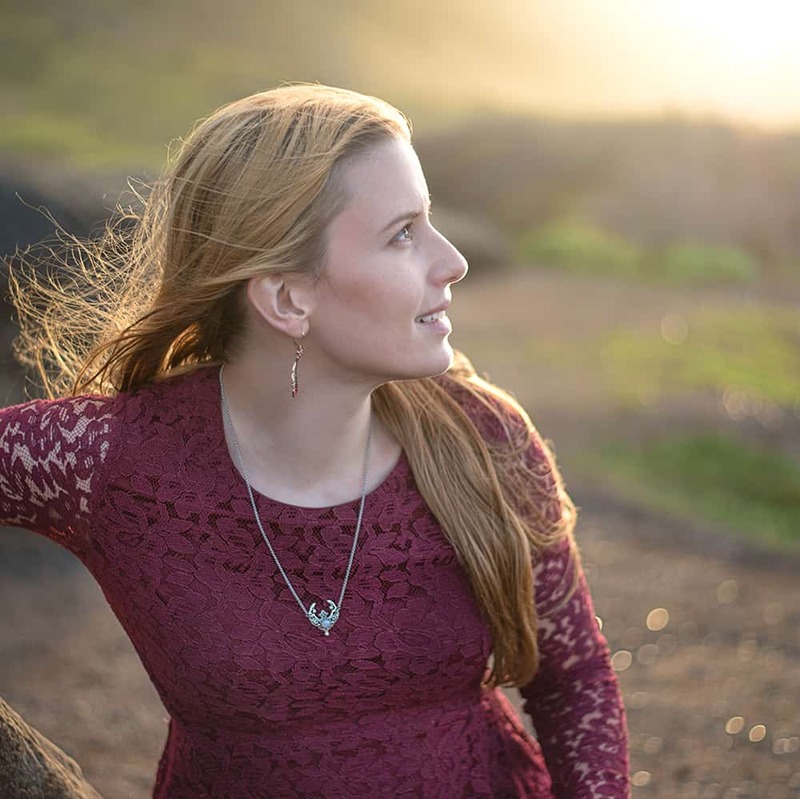 There are so many delicious, warm essential oils that are perfect for fall and winter! Adjust proportions according to your oils, their particular scents, and your personal preferences. Many of the ‘warmer’ scents, like clove and cinnamon, are quite strong and can quickly overpower other scents. 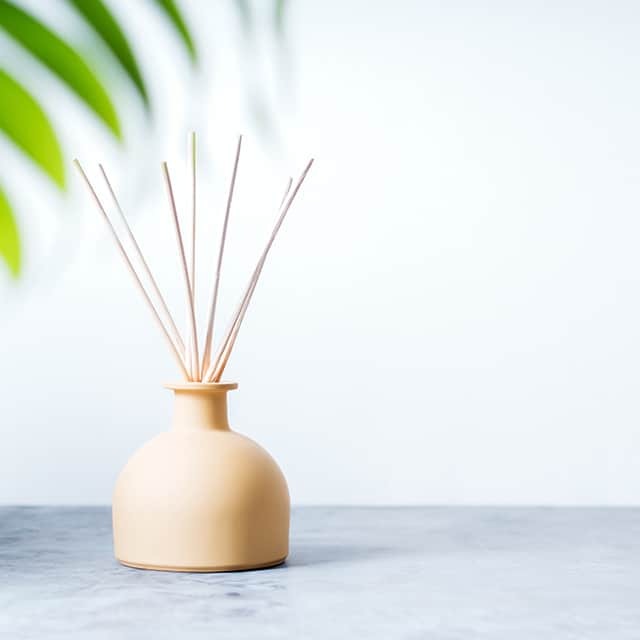 Of course, this diffuser will work with your favorite essential oils, no matter the season! Don’t lose track of this post! Pin it to your favorite board now! 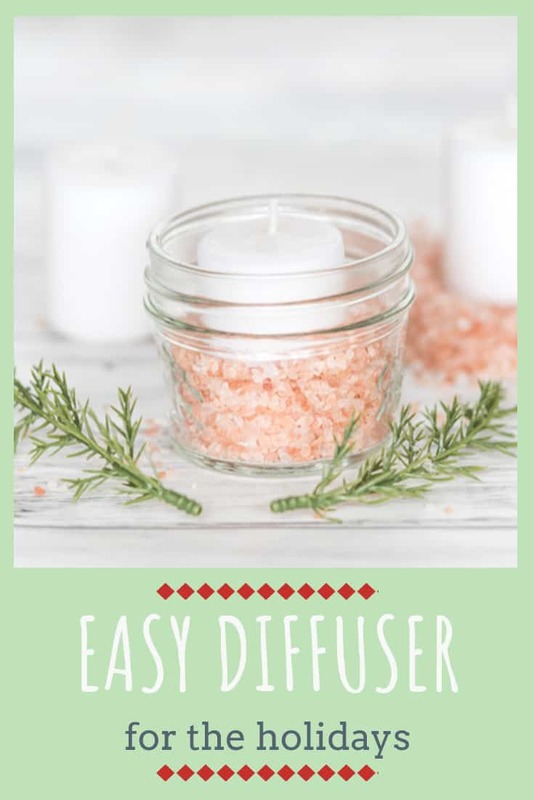 I hope you enjoy your easy homemade diffuser with sea salt and that it brings warmth & holiday joy to your home!